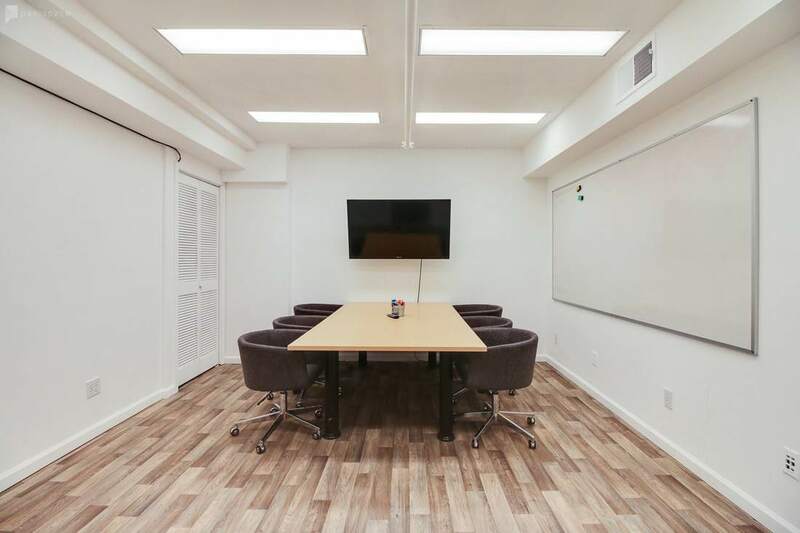 Our conference room is a great place for you to meet, gather, and collaborate. Book now for $45/ hour on weekdays and $60/ hour on weekends. Treehouse Society meeting rooms are ideal for private off-sites as well as break out sessions. Our rooms Watson and Fig Tree fit up to 5 people, and Cleopatra room fits up to 8. Every room has a flat-screen and whiteboard.